you may have noticed a trend by now- i covet something for a long long time before buying it. i'm the type of person that looks for that special "it's the one" connection with everything. 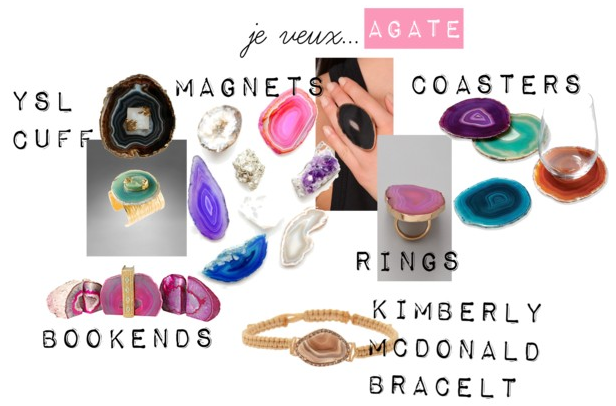 well, let's add agate crystal stones to the list. i've been coveting them for a few months now- but have yet to buy anything. but i think i might cave in to those magnets. how awesome would the kitchen look with those babies on it? as if i need another excuse to raid the fridge! Love these stones, so pretty! I have been hunting for a good agate necklace! Crushing on this trend!